Donald Trump dealt the first blow and with it, he thought to bleed off his Asian rival and other enemies of the United States that, in his opinion, were weighing the American economy. 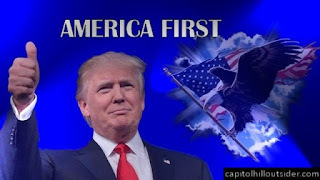 The president tried to impose once again his "America First", a campaign slogan that seeks to reposition the northern nation at the peak of all economic sectors. However, his eagerness to make the United States big again has collapsed the country’s auto industry. The high tariffs on steel and aluminum have crest pressure on the profits of the automotive sector, a fact that has led to several industry giants cut their budgets and to fallen shares of many automotive companies. Recent data reveals that the trade dispute between the United States and China and the high impositions on steel and aluminum is affecting the auto industry as expected by analysts. John Bozzella, president of the automotive union in the United States, in an interview granted augured the damage by saying: "Any retaliation by our business partners will multiply this damage". He also warned that Trump's decision was counterproductive, as it would increase the prices of vehicles in the United States. General Motors and Ford Motor Co. unveiled that the tariffs have caused the reduction of their projections and actions, as well as the fall of the sales of auto- parts. Mary Barra, GM’s general director, said in an interview that the tariffs of 25% on steel and 10% on aluminum imposed by the current administration of the White House caused the increase in production costs and with it the increase of prices. "Our biggest affectation is with steel and aluminum when you look at all the raw materials." "And frankly, is mainly due to steel", the businesswoman commented. General Motors executives told press that "recent and significant increases in material costs" lowered forecast earnings planned to $ 5.14 per share by 2018, well below the 6.42 level they foresaw. Meanwhile, another giant as Ford Motors reduced its profits by 48% compared to the previous year, due to high tariffs and other external factors such as the one of its production plants was burned, the one in charge of assembling its "Pickup F" series. Stock exchange data reflect that both companies are having significant downturns in their actions as a result of the trade war that the United States is carrying out with China and that it has reached other steel and aluminum producing nations. The last closing of the last days showed the fall of General Motors by 1.8% to close at 37.66. On the other hand, the Center for Automotive Research estimated that the possible charges of 20% to 25% on imports of cars and auto parts would raise the cost of an average vehicle by 4,400 dollars, in addition to causing the dismissal of approximately 714,000 workers. The biggest automobile companies sector also view askance the future tariffs to automobiles and auto parts that the president announced Donald Trump, with the supposed eagerness to help the workers of the automotive industry. The measure will trigger the costs of vehicle prices, an industry that for a couple of years has not had a considerable economic takeoff. But not only the largest motor empires of the United States have been affected, also other companies such as German Daimler AG reduced its profit outlook for 2018, due to the increase of China's tariffs on US cars. Daimler produces in America part of its trucks and cars. According to company executives, the trade war with China has affected them since they now foresee fewer sales of its trucks and higher costs on their Mercedes-Benz car division due to Chinese and North American tariffs. However, apparently, in the midst of the storm, there is good news and that is that the United States and the European Union agreed on working on "zero tariffs" and "zero subsidies" on non-automotive products. In addition, they affirmed last Wednesday that they would work together to resolve tariffs on steel and aluminum imports. Jean-Claude Juncker, President of the European Commission, indicated that the United States and the EU have agreed to abstain from future tariffs so as not to continue affecting the lucrative auto market with the commercial dispute. Let’s see and wait what decision Donald Trump will make and if his desire for “America’s First” does not continue to destroy the American car industry that has survived the economic crisis.